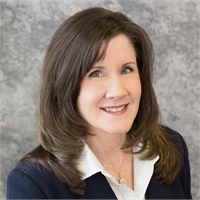 Maureen MacPhee | Blackstone Valley Wealth Management, LLC. Maureen joined Blackstone in February 2015 as the Office / Operations Manager. She oversees all daily operations related to client accounts and office functions. She is the one to welcome all clients as they enter the office and typically the first voice you hear when calling. Maureen was born and raised in Wellesley, Massachusetts and has lived in Hopkinton since 2006. Outside of the office, Maureen enjoys cooking, daily walks about town, and volunteering at the local animal shelter.